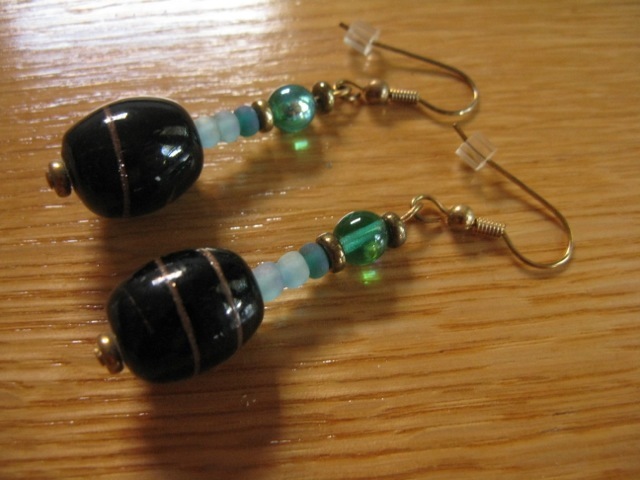 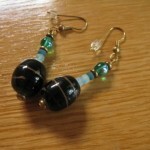 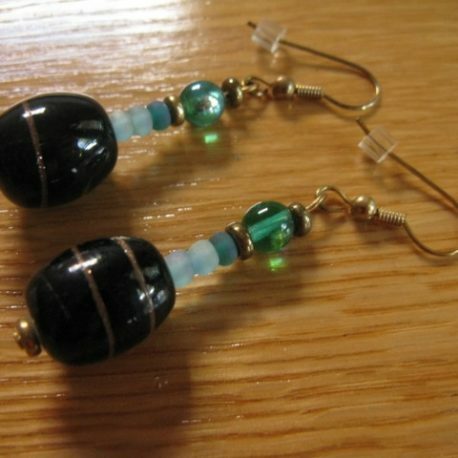 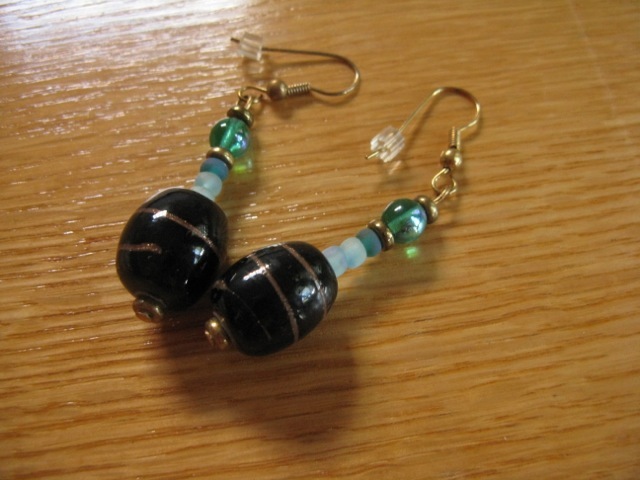 The large glass beads in these earrings are black with traces of brass-colored sparkle; the smaller beads are frosted and pearlescent glass in three shades of aqua, complemented by brass discs. 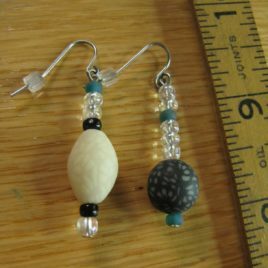 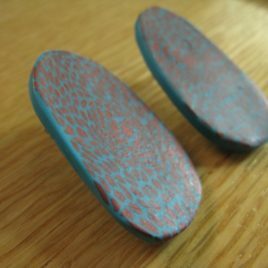 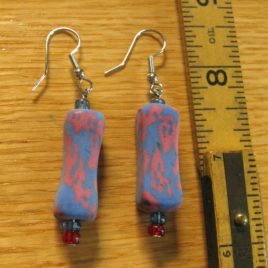 The Lagoon earrings are approximately 2-1/4″ long. 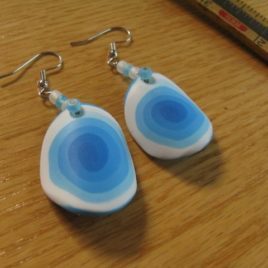 These earrings match the Lagoon necklace.